A beautiful room is one that functions well, looks harmonious and is as comfortable and timeless today as it will be tomorrow. 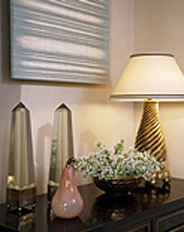 Susan Shulman Interiors transforms homes into sophisticated, comfortable and inviting spaces, designing each project uniquely and appropriately for every client. Each job begins by listening carefully to how an individual lives, entertains and would like to feel in a given space. Susan’s goal is to blend this vision with the architectural style of the home, whether new or existing, modern or traditional. On any project, creating a strong team is critical to the success of the endeavor. During the earliest planning stages, depending on the size of the project, Susan brings the Architect, Interior Designer and Contractor together to discuss the vision, the budget and the timetable. Having collaborated with many of Boston’s finest architects and builders, Susan has an in-depth knowledge of resources and exceptional project management experience. 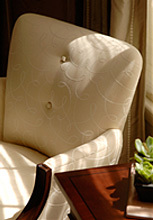 Susan Shulman Interiors makes the process educational, efficient and enjoyable. Contact Susan to take the next step toward your project renovation.